Due to the location and the type of business, the design brief called for a nautical look. 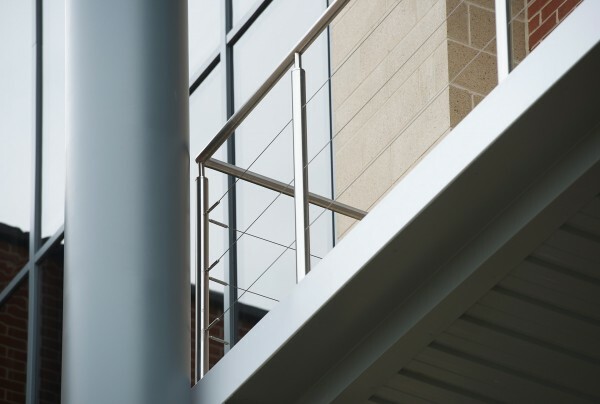 We were contracted to provide the balustrades and handrails for a major global shipping company at their new commercial headquarters, located in Felixstowe. 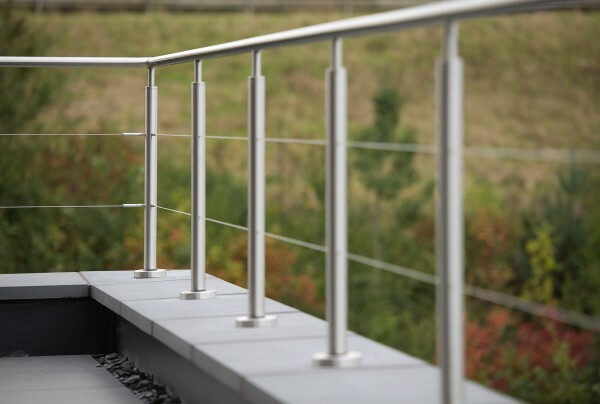 We recommended our B20 balcony handrail system, using stainless steel handrails and uprights with wire infills. 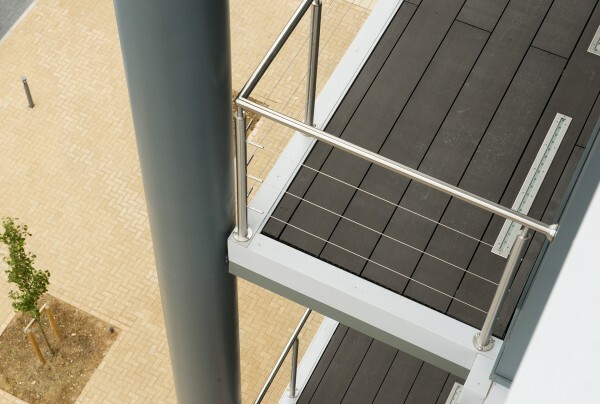 This system was used extensively throughout the building terraces. 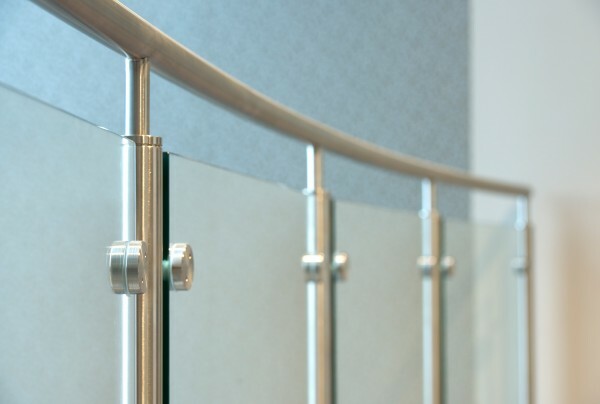 Stainless steel uprights and handrails with toughened glass infill panels were also specified and installed in the void areas. The installation program on site was to a very tight deadline. This presented a challenge for the production team and the on-site operation team. 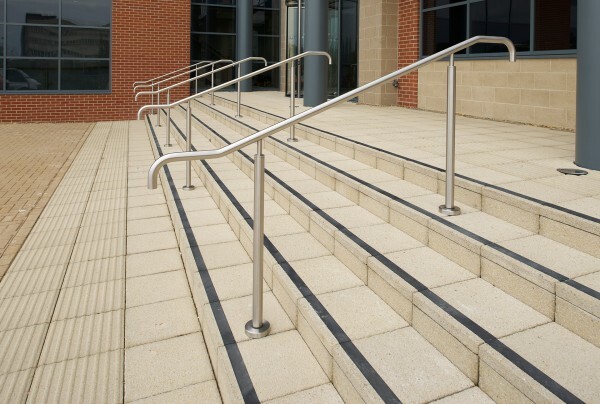 Using our well-proven manufacturing systems and contract management skills, the project was completed on time. 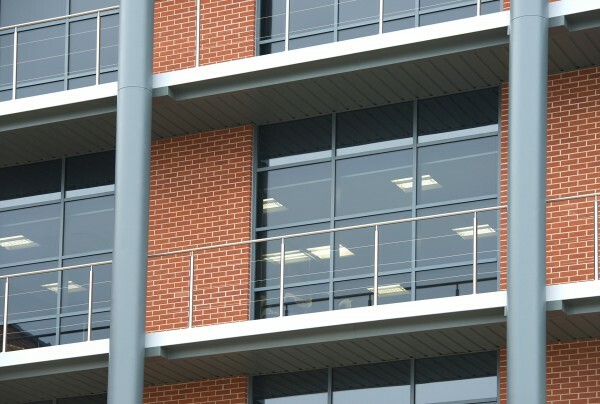 View the B20 system used for this project.